According to a new study, most free-to-play games owe their success to a very small number of very big spenders. The free-to-play model has been massively successful, yet most gamers try to avoid microtransactions like the plague. You might wonder, then, where these games are making their profits. Well, mobile marketing company Swrve recently did some research to figure out where the money's coming from, with some interesting results. As it turns out, 50% of revenue from in-app purchases can be traced back to just 0.15% of gamers. 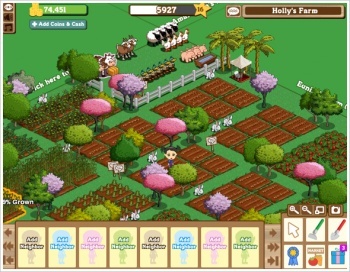 Most people who download "freemium" games play for a little while, but never spend any money. Only about 1.5% of players generate any revenue at all, and of those, one in ten are the big spenders who make up half of these games' business. This lopsided ratio is probably why most people are so opposed to the idea of microtransactions: developers using this model make most of their money from addiction-prone players who keep coming back to spend more money. The study also reveals a few other interesting numbers. The average first purchase comes within 24 hours of downloading a game, but it's a slippery slope; if there's a second purchase it usually happens less than two hours after the first. 67% of purchases are less than $5, yet the average purchase is $5.94 because of the big-ticket transactions. 9% of total revenue comes from purchases of more than $50. It's no secret that free-to-play developers reap boatloads of money from these "whale" gamers, but it's also telling that without these high-end customers the entire model would be much less successful. Then again, free-to-play hasn't been in the spotlight for too long, and there's still time for it to grow into something more balanced and less exploitative.